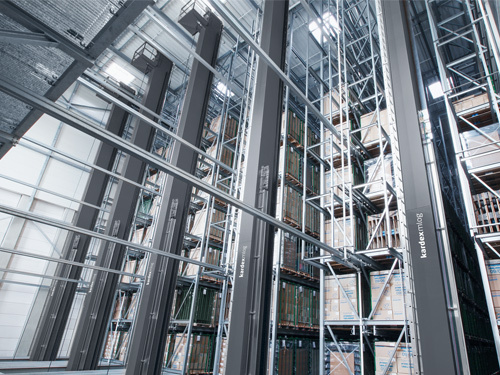 Kardex Remstar has developed the new Vertical Buffer Module product category for future intralogistics market requirements. 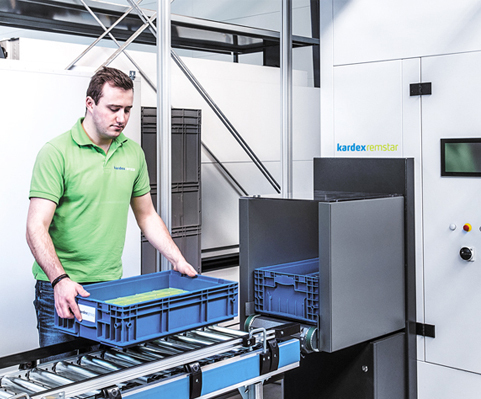 With up to 500 order lines per picking station and hour, the Kardex Remstar LR 35 optimizes the order picking performance of small parts and lightweight goods while guaranteeing high precision and energy efficiency. A station can consist of one or more units. 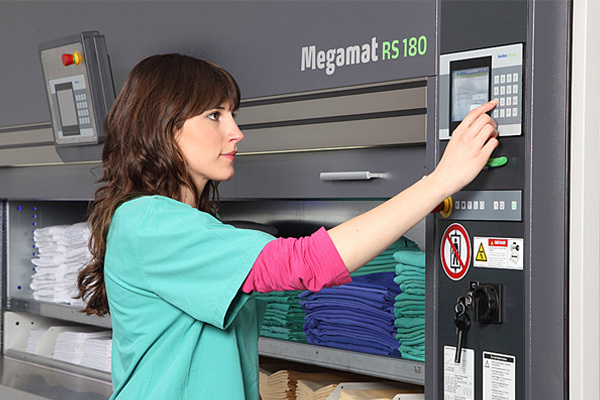 The unit software optimized for the Vertical Buffer Module meets the highest standards: It offers a modern operating concept with newly developed, capacitive touch screen for even faster and more intuitive operation. The associated software is Web-based, which means it can be used with a wide range of hardware. Power Pick Global navigates orders through the fulfillment process, providing all articles on-time for efficient picking: fast, accurate and easy. 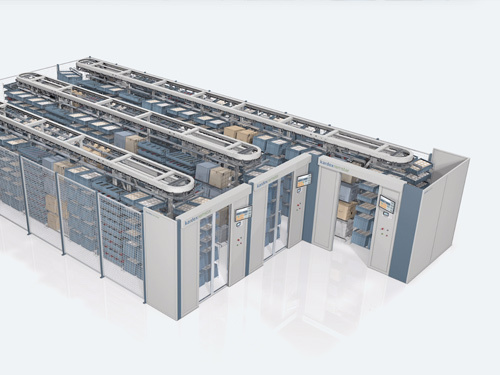 The modular design allows Power Pick Global the flexibility to meet any of your individual order fulfillment requirements. 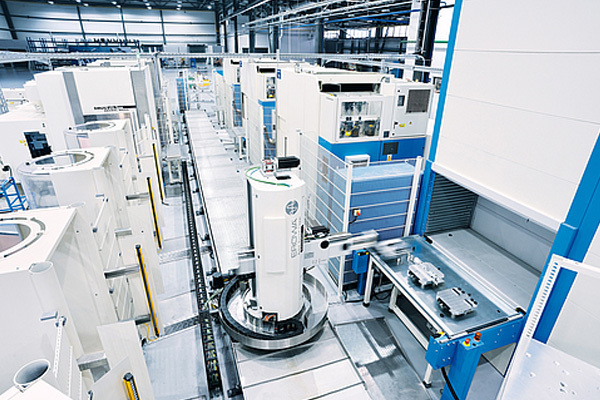 It can be applied to a wide variety of applications, from production to distribution to logistics, in many industries. 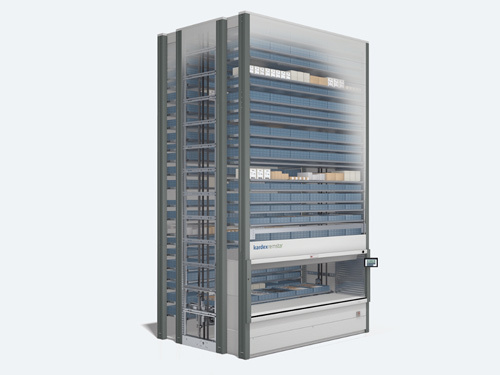 The Shuttle XP vertical storage lift system from Kardex Remstar is a highly flexible solution for managing a number of storage and retrieval applications in a wide range of industries. The Shuttle XP 1000 is especially suitable for use with big loads. Each of its heavy-duty trays can handle loads weighing up to 1,000 kg and measuring up to 4.05 meters across. 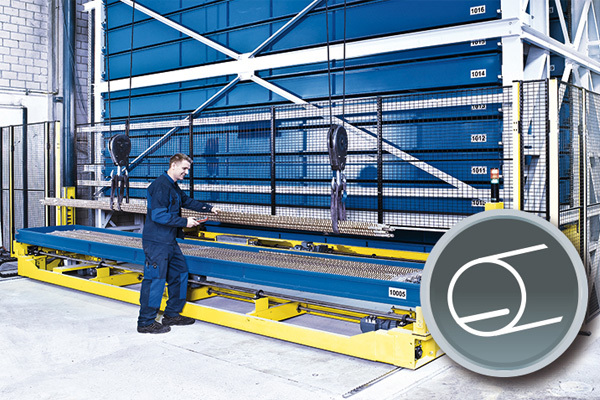 As such, this storage lift is ideal for picking medium-heavy to heavy parts and sets new standards in storage logistics in terms of load-bearing capacity. 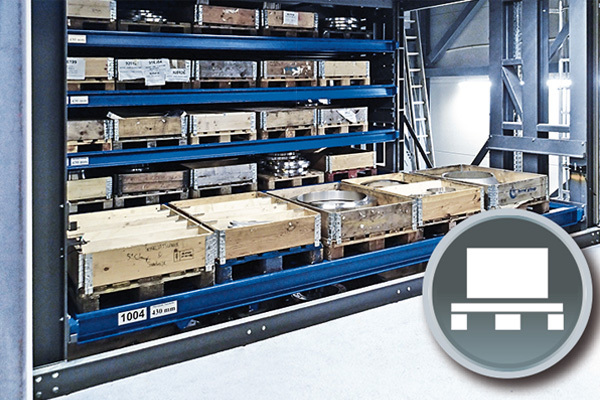 Its efficiency can be further increased when handling heavy loads by integrating the optionally available hoisting crane or a mechanism for picking up entire pallets. 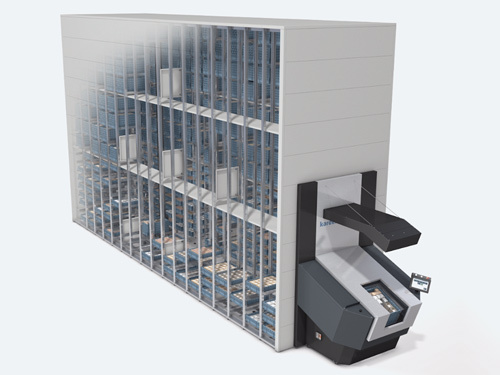 Innovation at your Fingertips – The New Machine based Control Center for Kardex Remstar Automated Storage Systems. 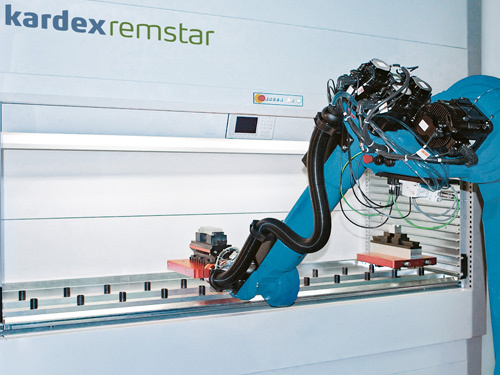 Kardex Remstar introduces a new control generation to complement all Kardex Remstar automated storage and retrieval systems. 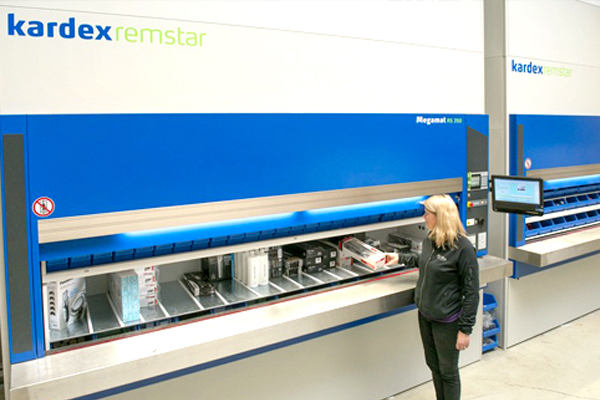 With a Kardex Remstar Horizontal Carousel goods are stored and retrieved quickly, reliably and cost-effectively. A Horizontal Carousel makes optimal use of the existing room length. 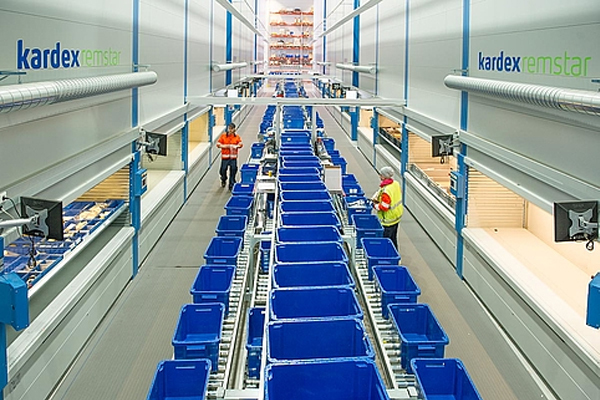 The central access opening positioned at the front of the Horizontal Carousel and the arrangement of the machines in so-called picking stations give the picker fast access to the stored goods on a minimal footprint. 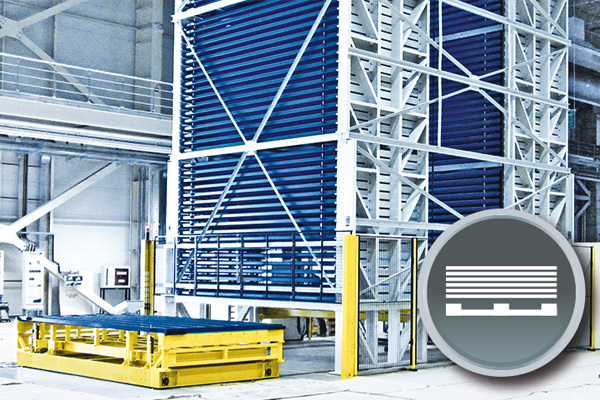 This reduces the travel time usually necessary for personnel working on a conventional shelf storage system. Another advantage: all Horizontal Carousels belonging to one picking station work simultaneously. This guarantees permanent access to goods and reduces unproductive staff waiting times to a minimum. 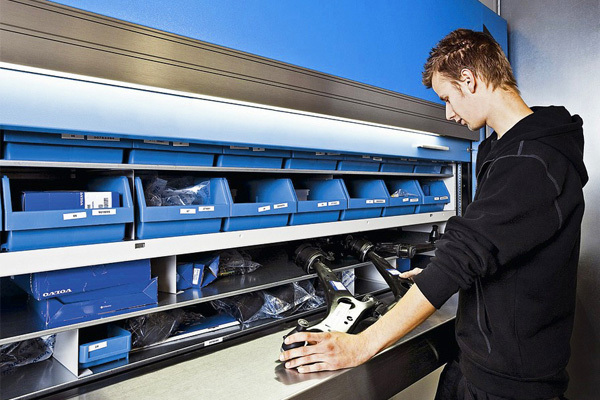 Efficient order picking is made possible by linking a Horizontal Carousel with warehouse management software (e.g. Kardex Remstar Power Pick Global) and using various optical display elements. Picking performance can be improved even further if picking strategies such as “batch picking” are applied. User-friendliness is also important when storing long goods. 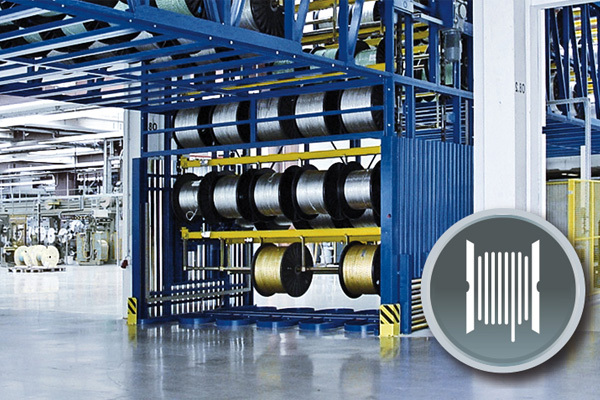 Pipes, steel bars and similar goods, each up to 12,200 mm in length, can be very efficiently stored and fully automatically transported. 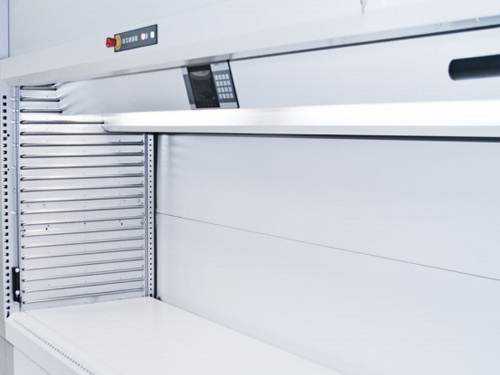 The ability to store loads of up to 5,000 kg, the small footprint and the particularly high storage density are all impressive features. 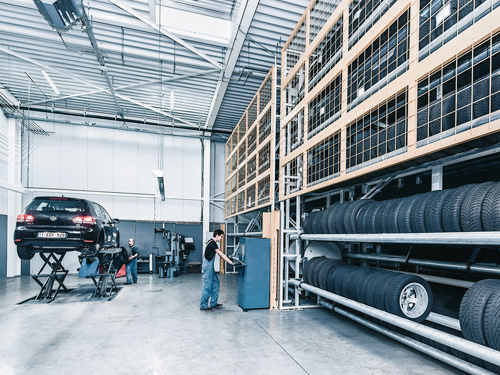 The flexible options for adapting the vertical lift system make it possible to meet individual customer requirements, such as creating a direct connection to saws. Future-proof solutions are individual! Kardex Remstar also follows this principle when it comes to the storage logistics of particularly heavy loading equipment such as pallets and mesh cages. 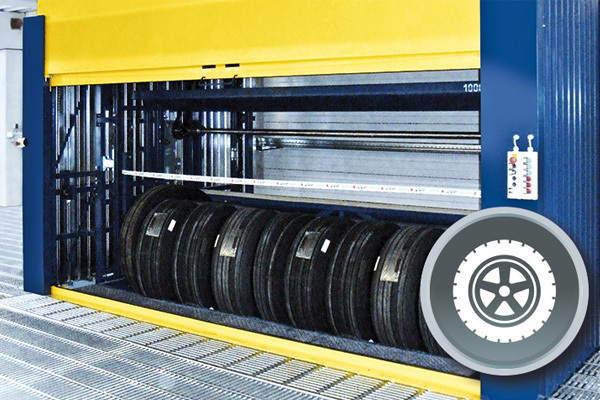 The flexibility and adaptability of the Towermat means that virtually any material weighing up to 5,000 kg can be stored extremely efficiently on each tray. 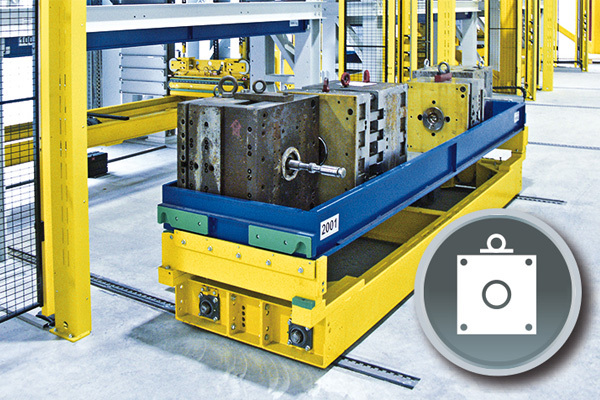 Optimal productivity in the area of material handling and retrieval is achieved by adapting the unit to the customer’s existing systems and building layout. 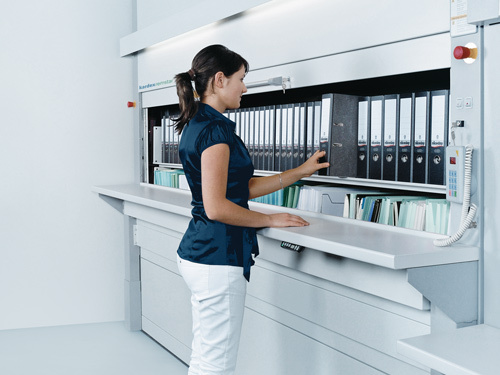 The Lektriever is a software controlled automated storage and retrieval system that can hold thousands of files, videos, CD’s, DVD or a host of other media. 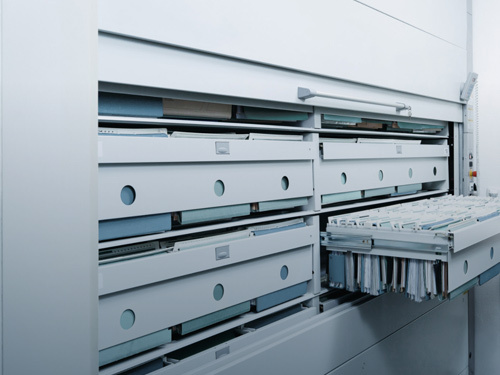 Its capacity is the equivalent of at least 16 four-drawer filing cabinets. 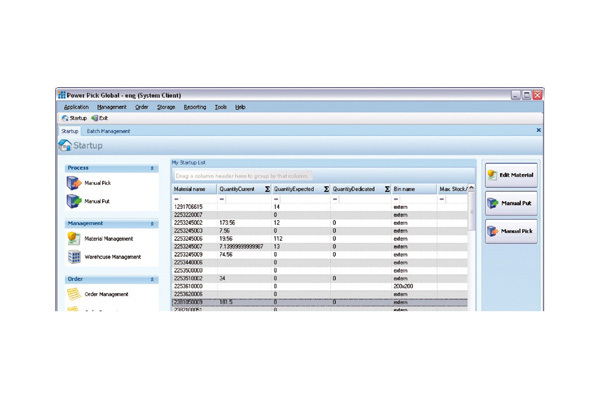 It can be operated in a stand alone mode or networked to your IT systems. It is the correct choice of hardware combined with the most appropriate filing software which will produce the ultimate solution. One without the other is only going half the distance and will only give half a solution – leaving expectation levels unfulfilled. 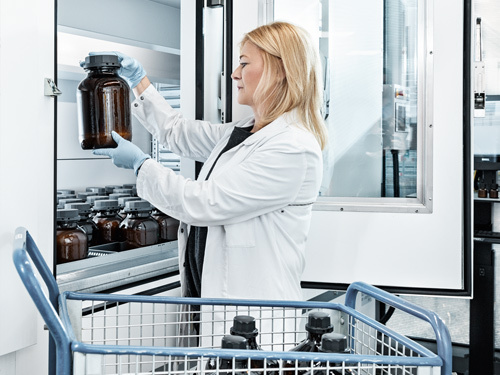 Various optical indicators and simplified entry methods – result in reduced picking errors, increasing picking accuracy up to 99%. 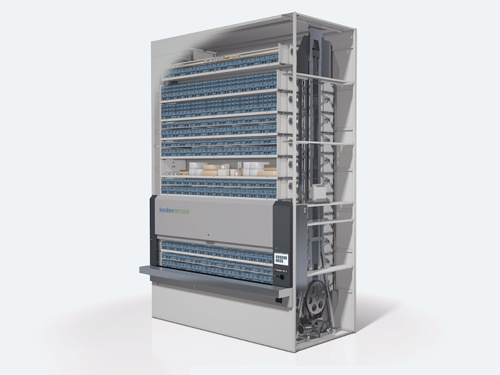 Modular structure and versatile options – enable adjustments to change requirements at any time and protect your investment. 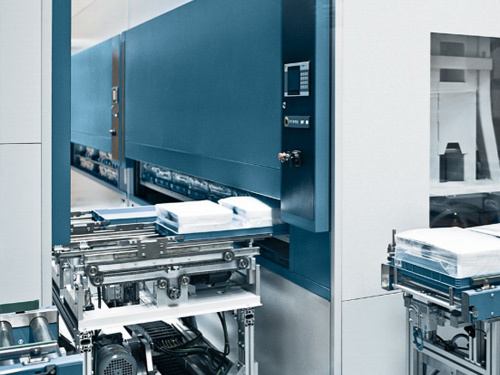 Smartpick 5200 is the solution for the management and processing of picking orders – specially tailored to the needs of the electrics / electronics industry. 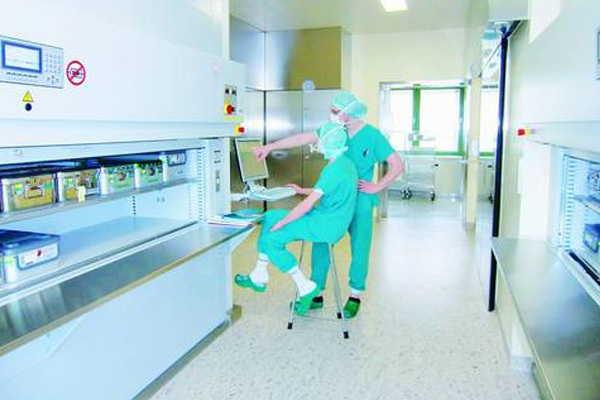 Special attention was paid to the handling of SMD components. For example, during putting charge / serial numbers are recorded and during picking the correct charge / serial number is predetermined. Thus incorrect picking is not possible anymore! Smartpick 6000 is the solution that supports different picking strategies. Multi-Order-Picking (Batching) bundles several orders together into a batch order so that the material that is required for several orders only has to be picked once. 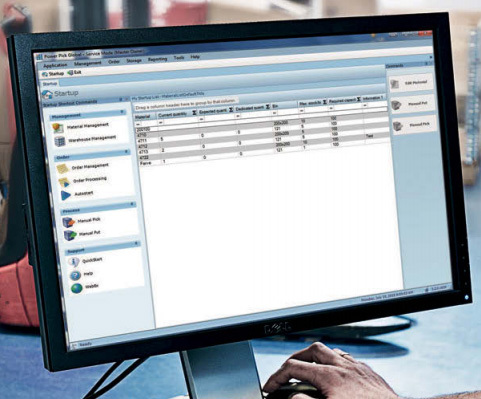 Communicator Pro is the storage solution for all enterprises that already operate an ERP or WMS system whilst striving to get even greater performance from their dynamic storage systems. 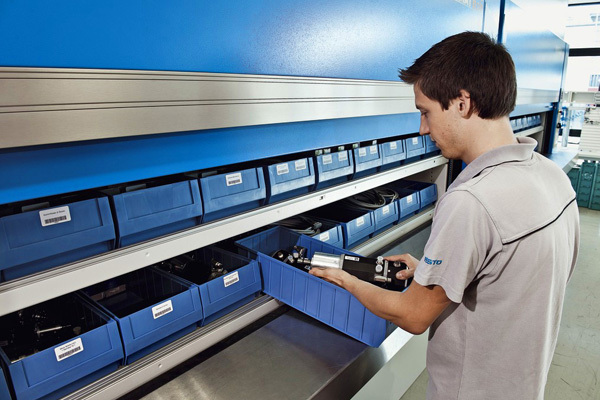 Our storage systems are designed to increase your productivity, optimise your storage pace and improve the efficiency of your working practices. All our solutions can be adapted to meet your specific requirements. 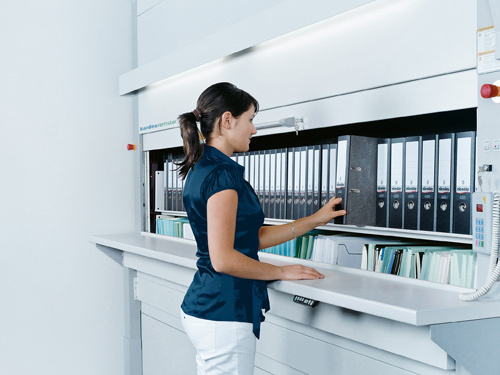 If you want to store any kind of physical item, a space saving, reliable and efficient storage and retrieval solution can reduce man hours and storage costs – whether operated automatically or by hand. 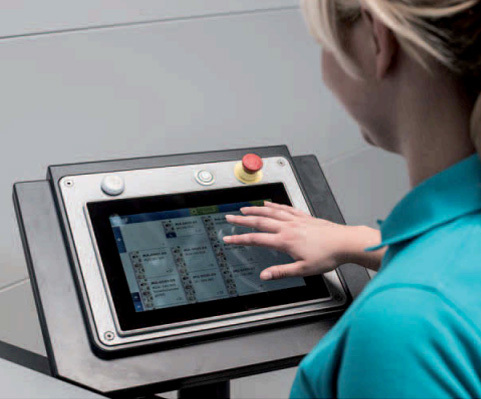 All of our vertical and horizontal systems work on the 'goods to person' principle, reducing waiting and walking times significantly. Integrating automated order picking solutions into an existing order picking process allows organizations to really do more with less. Automating order picking can increase picking efficiency, save floor space and improve order accuracy- leading to greater profitability. 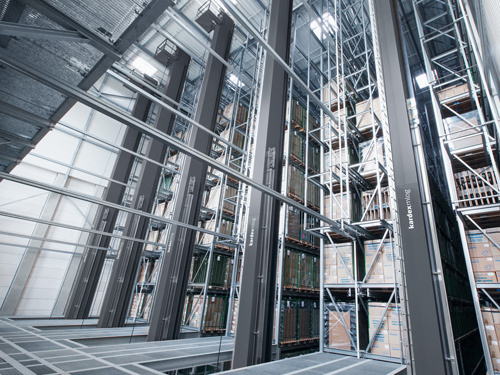 Horizontal Carousels and Vertical Lift Modules combined with Power Pick Global inventory management software and pick to light technology can increase picking productivity by up to 400% while saving up to 85% floor space and improving accuracy rates up to 99.9%. 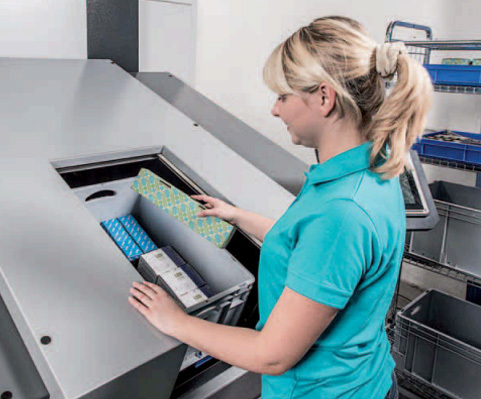 Irrespective of the size of your sales and distribution warehouse and the industry in which you operate, Kardex Remstar has solutions to increase efficiency and significantly reduce the amount of storage space used. 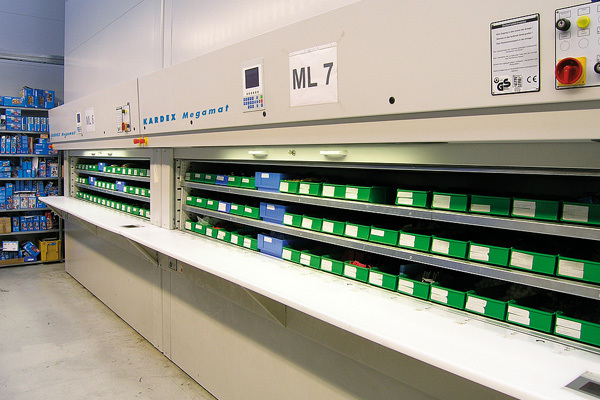 Our automated storage systems and software solutions are tailored to the actual task and manufactured in line with the company’s expectations, regardless of whether you need an individual semi-automatic solution consisting of one or two automated storage systems, or several automated storage systems with the option to store and retrieve goods fully automatically without human intervention. 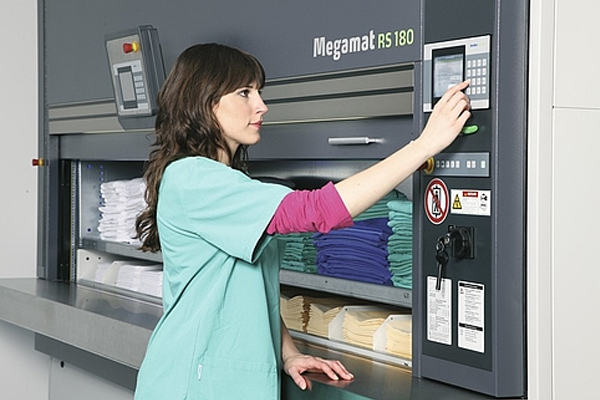 Kardex Remstar supplies solutions for individual hospital departments and as an overall package of storage and logistics measures. All of them are designed to save space and ensure that goods are handled safely and cleanly. 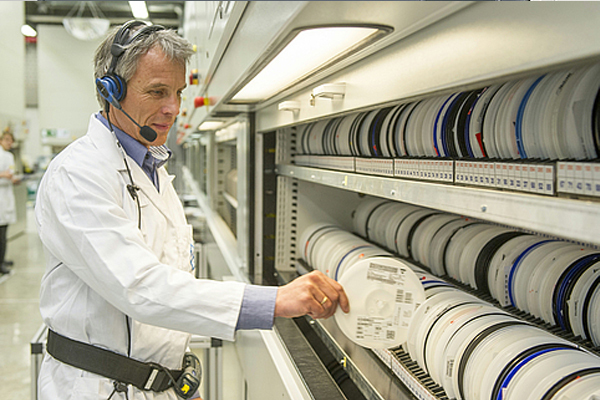 The time saved by staff storing goods in this way can be spent on the patients instead. 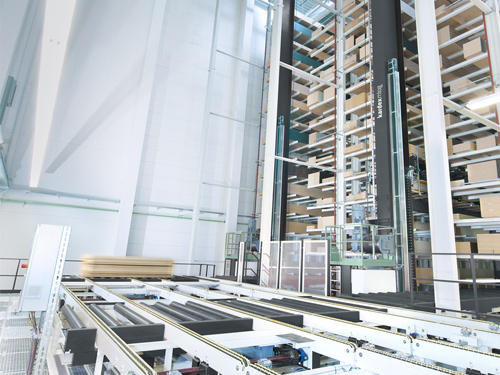 Investing in automated storage systems instead of storing goods on conventional shelving and mezzanine floors, or using some other manual storage method, offers a whole range of advantages and is also financially beneficial. 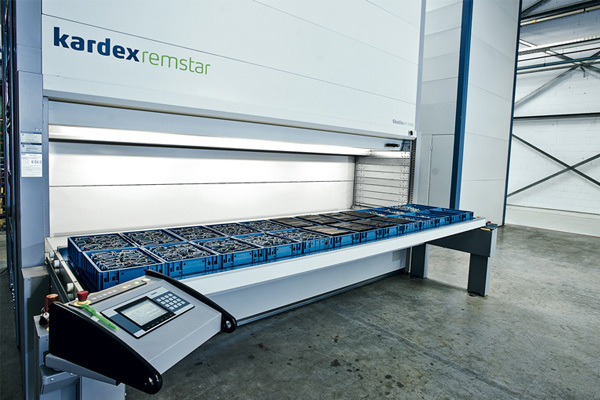 Automated storage systems and software from Kardex Remstar are easy to install, operate, and maintain, which means that you can expect fast and clear results. 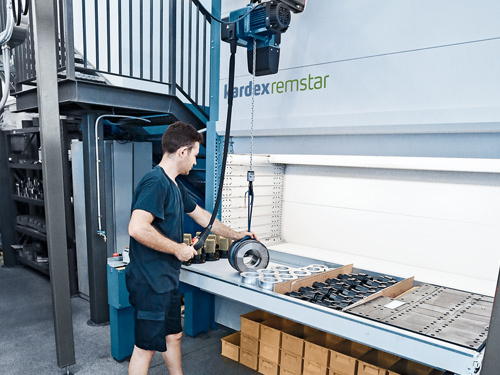 It doesn’t matter what kind of industry you work in as the 140,000 systems installed by Kardex Remstar cover a broad section of most industries. Which vertical lift to choose?